For other uses, see Cumberland (disambiguation). Cumberland House is a community in Census Division No. 18 in northeast Saskatchewan, Canada on the Saskatchewan River. It is the oldest settler community in Saskatchewan and has a population of about 2,000 people. Cumberland House Provincial Park, which provides tours of an 1890s powder house built by the Hudson's Bay Company, is located nearby. The community consists of the Northern Village of Cumberland House with a population of 772 and the adjoining Cumberland House Cree Nation with a population of 715. The community is served by the Cumberland House Airport and by Saskatchewan Highway 123. The population of Cumberland House consists of mostly First Nations people, including Cree and Métis. Cumberland House was and is a Cree "n" dialect community, known in Cree as "Waskahikanihk". On March 2013, Cumberland House Cree Nation had a registered population of 1387 with 814 members living on-reserve or crown land and 573 members living off-reserve. The First Nation has territory at five locations and is governed by a Chief and four councillors. It is a member of the Prince Albert Grand Council. From its foundation in 1774, Cumberland House was one of the most important fur trade depots in Canada. 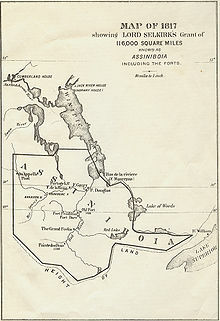 To the east, the Saskatchewan River led to Lake Winnipeg and on to the French at Montreal or the English on Hudson Bay. To the west, the river led to the Rocky Mountains and a pass to the Oregon Country. To the north, the Sturgeon-Weir River led to the Churchill River which led to the Methye Portage and the rich Athabasca Country to the northwest. During the construction of Cumberland House the traders were challenged by the inland location and their unfamiliarity with crafting canoes. During the completion of the community's construction the traders had developed the required travel proficiency. See Canadian canoe routes (early). Cumberland House was used as a depot for east-bound furs and west-bound trade goods. It was also a depot for pemmican used to feed the voyageurs on their long journey to Lake Athabasca. Since it was in the forest belt, pemmican was brought downriver from the prairies or upriver from Lake Winnipeg. It was about 40 days' paddling time from the Hudson's Bay Company base at York Factory but nearly five months' journey from their competitor's base at Montreal. Cumberland House was located on a strip of land between the Saskatchewan to the south and Cumberland Lake to the north. The lake drained into the river a mile or so to the west. Today the strip is wider because of changes in the lake level. As in much of Canada, the first European visitors were probably Coureurs des bois who left no records. The first European known to have passed the site was Louis-Joseph Gaultier de La Vérendrye in the spring of 1749. Private fur trader Joseph Frobisher set up a temporary post on Cumberland Lake in 1772. Samuel Hearne established the permanent HBC post in 1774. It is sometimes said that this was the first inland post of the company. Strictly this was Henley House in 1743, but this was an isolated event. Cumberland House was the first post established when the inland policy was adopted. Hearne took the Grass River (Manitoba) route from York Factory which led him to Cumberland Lake. A month after Hearne finished building, Thomas and Joseph Frobisher arrived on their way to intercept HBC furs at Frog Portage. Next year Mathew Cocking was in charge and the two Frobishers reappeared along with Alexander Henry the elder. From 1778 to 1804, it was the administrative center of the western posts. In 1793, the Northwest Company built a competing post nearby. About the same time the HBC fort was moved to a new site across from the NWC post. In 1821, the two forts were merged. At that time there were 30 men at the post and about the same number of women and children. The post declined after about 1830 but revived somewhat with the introduction of steamboats on the river in 1874. By 1980, the powder magazine and the house of the HBC manager were still there. On June 24, 2005, Cumberland House residents were evacuated to Prince Albert, Saskatchewan, and housed in a shelter set up by the Red Cross at the SIAST campus due to impending flooding from the Saskatchewan River. The influx of water was from record breaking rainfall in Alberta where the North and South Saskatchewan Rivers collected the runoff from that rainfall. Cumberland House is the northern terminus of Saskatchewan Highway 123. The first bridge connecting Pine Island, where the community is located, across the Saskatchewan River to the mainland was built in 1996, replacing a ferry during the summer months and ice crossings in the winter. ^ "Cumberland House". Geographical Names Data Base. Natural Resources Canada. Retrieved 2011-08-19. ^ a b "Canada Census 2011 (community profiles)". Retrieved 2013-04-18. ^ a b c "AANDC (Registered Population)". Archived from the original on 2013-11-22. Retrieved 2013-04-18. ^ Daschuk, James (2013). Clearing the Plains: Disease, Politics of Starvation, and the Loss of Aboriginal Life. University of Regina Press. p. 31. ISBN 9780889772977. ^ Voorhis, Ernest (1930). "Historic Forts and Fur trade Posts of the French Regime and of the English Fur Trading Companies". Historic Forts and Fur Trading Posts. Govt. of Canada (orig). Retrieved 2016-05-11.